From London rooftop broadcasts during WWII raids, to his exposés of McCarthyism in the early 50s, Edward R. Murrow is known for taking his audience places they had never been and allowing them to experience things they could never imagine. True to our legacy, the Edward R. Murrow College of Communication is dedicated to providing students—the communications professionals of the future—this same level of inspiration, experience, and real-world education. Ranked #1 in the nation by ComVista in three research areas: Advertising, Literacy (i.e. media literacy) and Drugs (Substance Abuse Prevention). In 2014, the journalism program was ranked in the top 20 nationally by a survey done by NewsPro Magazine, and RTDNA. Exploration of one of three fields of study, Communication and Society, Journalism and Media Production, or Strategic Communication are well rounded, diverse and unique. Murrow College encourages students to break free from the classroom, offering a real-world experience like no other program in the Pacific Northwest. Murrow’s state-of-the-art facilities provide exposure to and mastery of digital production and content creation technologies. 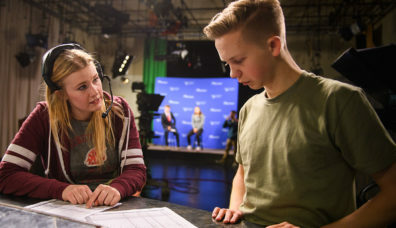 We encourage immersion in real-world experiences through computer labs, writing labs, an advanced graphics and data analysis labs, and a broadcast news lab; television production studios and TV editing suites; a radio station and radio/audio labs; and a state-of the-art news production/broadcast labs across multiple campuses. In addition, Murrow College houses three nationally acclaimed media outlets, including Northwest Public Radio, Northwest Public Television, and the Murrow News Service. 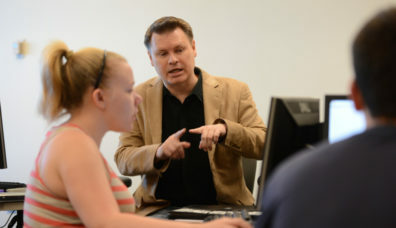 The Edward R. Murrow College of Communication maintains worldwide connections through strategic partnerships, student internships, and professional learning experiences. Through innovative programs like Backpack Journalism, our students develop the insights and abilities necessary to communicate articulately to global and diverse audiences, accentuating an entrepreneurial mindset with social responsibility. 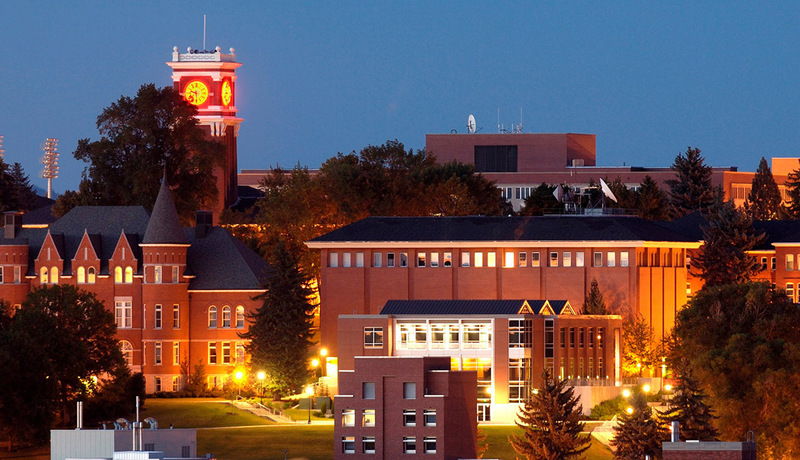 The Edward R. Murrow College of Communication at Washington State University is ranked as a top ten research program in 21 of 99 research areas by the Communication Institute for Online Scholarship (CIOS). It is a Tier 1 program for communication research concerning advertising, substance abuse prevention, and literacy (media literacy), a Tier 3 program for sexuality (sexual health) and radio, and top 10 research unit in a variety of areas including media and children, broadcasting, political elections, politics and government and regions of the world including Africa, Asia and the Middle East. Edward R. Murrow was a giant of the broadcast news industry. He is credited with making broadcast journalism respectable, courageous, and sincere, and with establishing standards to which broadcast professionals still aspire. Murrow graduated from Washington State University in 1930 with a bachelor of arts degree in speech. He served as WSU student body president, president of the National Student Federation, and was a top cadet in the University’s ROTC program. He spent two additional years serving as the president of the National Student Federation after graduating. In 1935, he joined the Columbia Broadcasting System as Director of Talks and Education. He became the CBS European director in 1936 and was transferred to London. When the Nazi Anschluss with Austria took place in 1938, Murrow chartered a plane from his headquarters in London and arrived in Vienna in time to broadcast the German march into the city. From that time, he remained “glued to the mike.” In his famed “This is London” broadcasts, he nightly described World War II as he saw and experienced it. Murrow broadcast from the roof of a building during a raid to report an eyewitness account of what the British were enduring on at least one occasion. He is known for taking his audience places they had never been and allowing them to experience things they could never imagine. 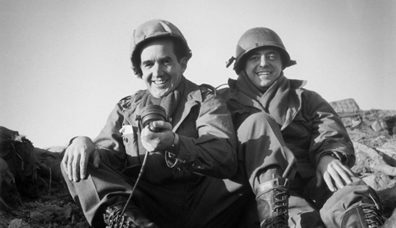 In 1950, Murrow flew to the Far East to report on the Korean War. He presented weekly digests of news called “Hear It Now” which was based on an earlier project produced by Murrow and Fred Friendly called “I Can Hear It Now.” His reports included the news of the day, but also stories of the individuals caught up in the wave of events. Murrow retired from CBS in 1961 and took control of the U.S. Information Agency. He retired from that position in 1964 due to lung cancer. He died at the age of 57 on April 27, 1965, on his farm in Pawling, New York. Murrow was a dedicated broadcaster who has inspired millions of people. Good Night, and Good Luck, a 2005 major motion picture release immortalizing Murrow’s journalistic courage, was nominated for six Academy Awards. The film, directed by George Clooney and starring David Strathairn, received international critical praise. Murrow’s dedication to simple, effective communication and his courage and desire to educate the world about the events of his time continue to live on in the spirit of the Edward R. Murrow College of Communication at Washington State University.